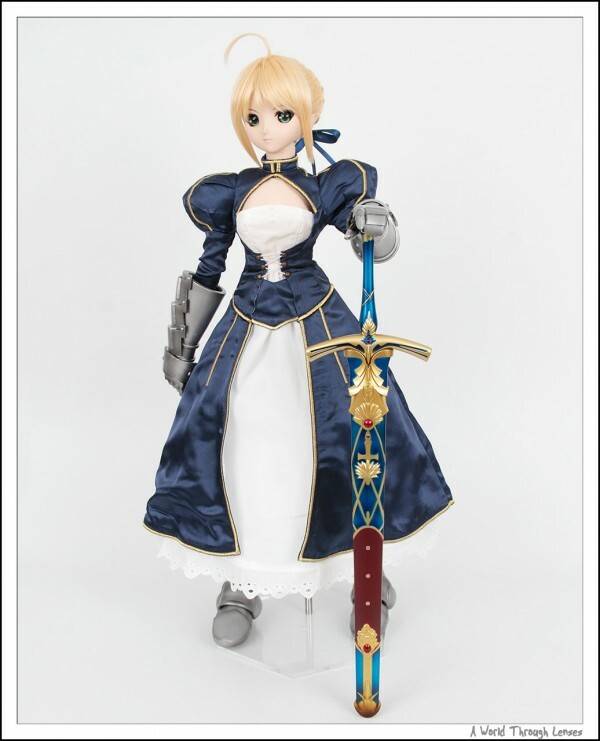 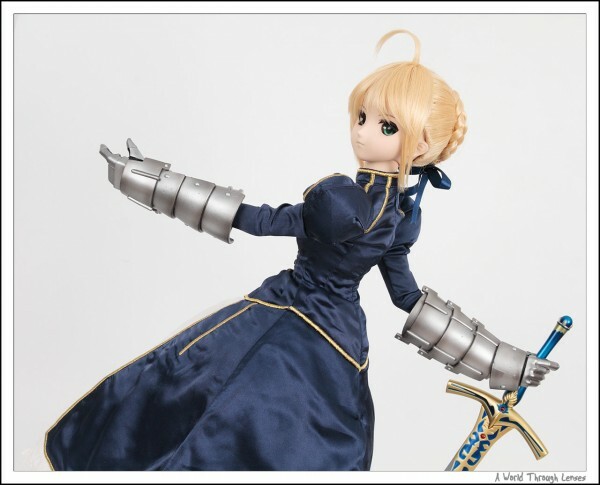 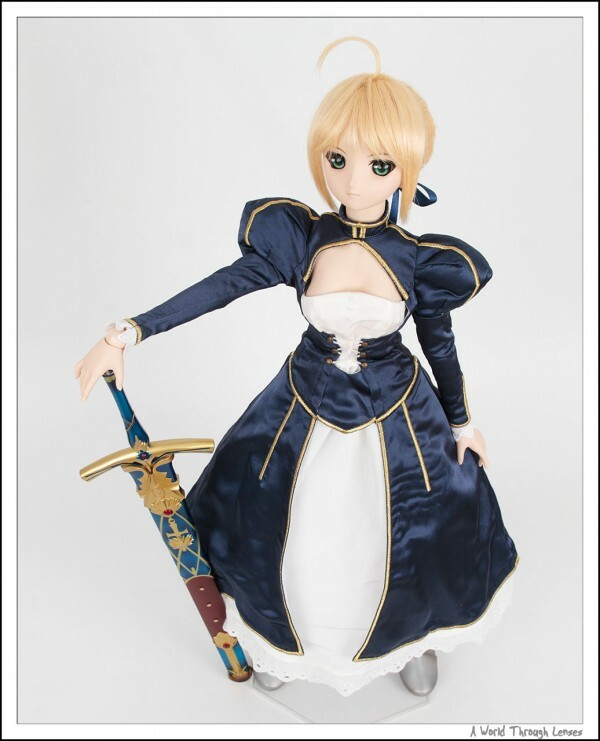 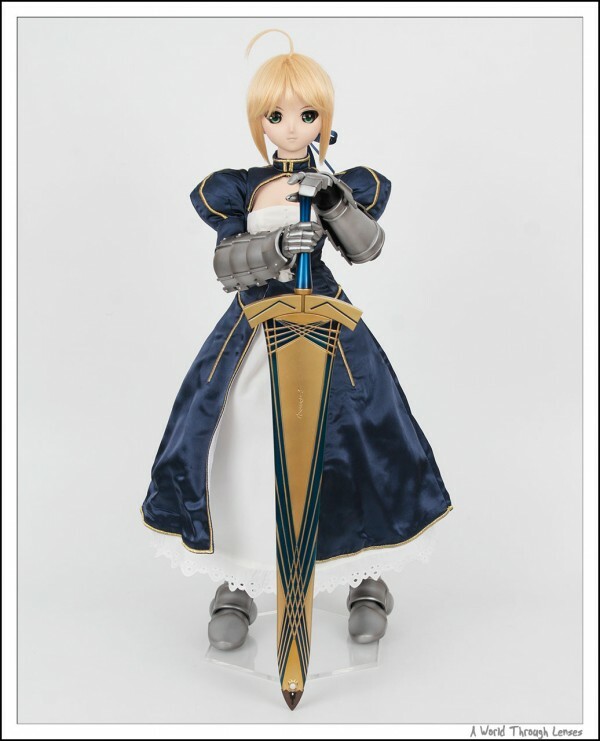 The original Dollfie Dream Saber came only with Excalibur. 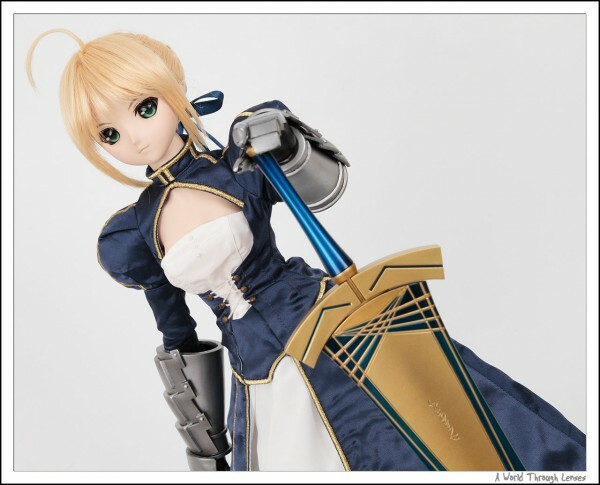 And since dollfie dream Saber’s release in 2008, I’ve seen people create the scabbard Avalon from scratch themselves. 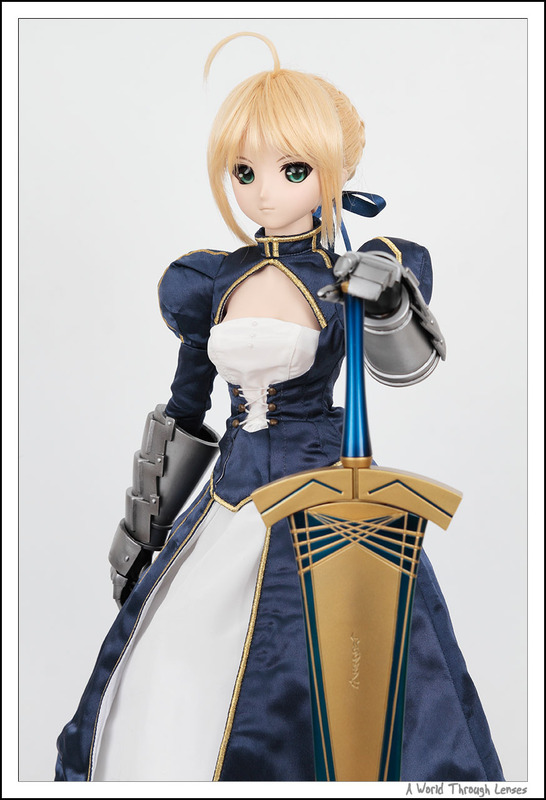 Now with Volks’ release of Saber Lily with Caliburn and the accessory “Ever-Distant Utopia” ~ Avalon, Saber’s weapon is finally complete. The original Saber’s Excalibur (top) is compare with the new Excalibur that came with “Ever-Distant Utopia” Avalon (bottom). 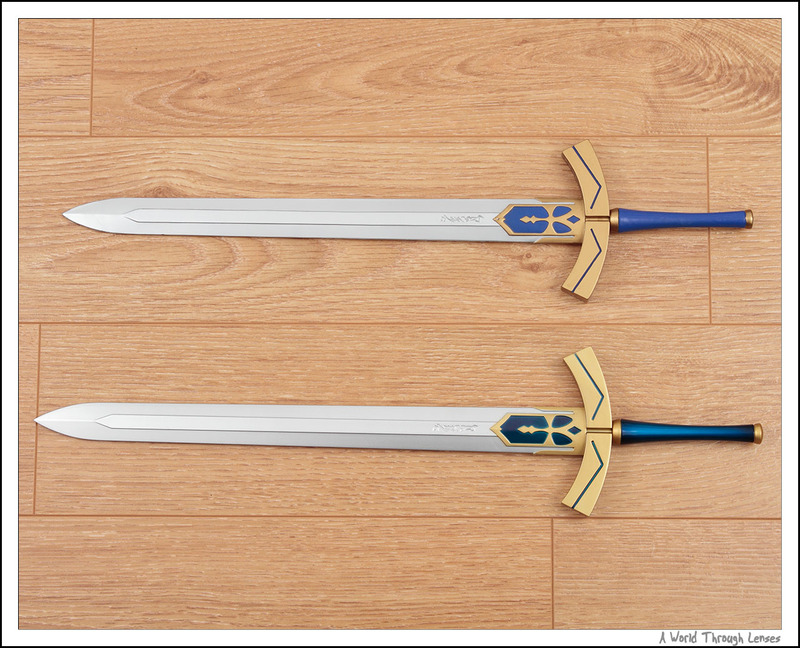 I was surprised to find that the new Excalibur is not the same as the old Excalibur, the new one is a little bit longer than the original one. 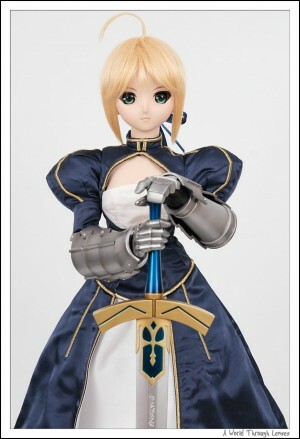 I wonder why they had to make that change. The original one also has a matte paint finish for the blue parts while the new Excalibur has a glossy paint finish with a slightly different hue. The blue color on the sword now matches with Saber’s clothes. 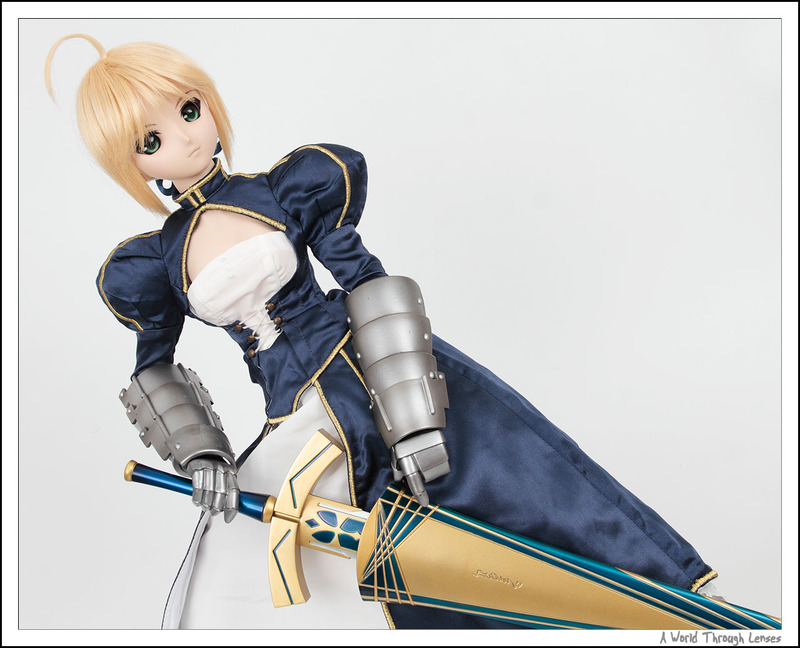 Saber trying to draw “The Promised Sword of Victory” ~ Excalibur. 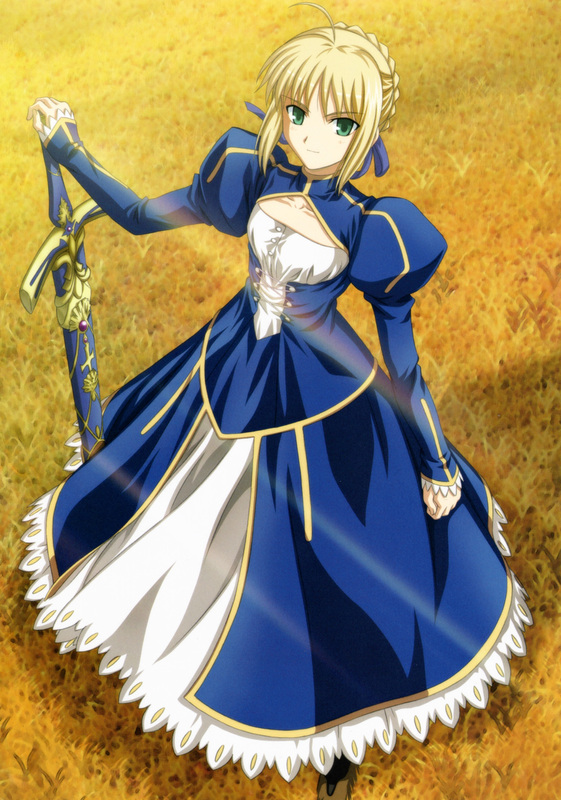 Excalibur in one hand and Avalon in the other. 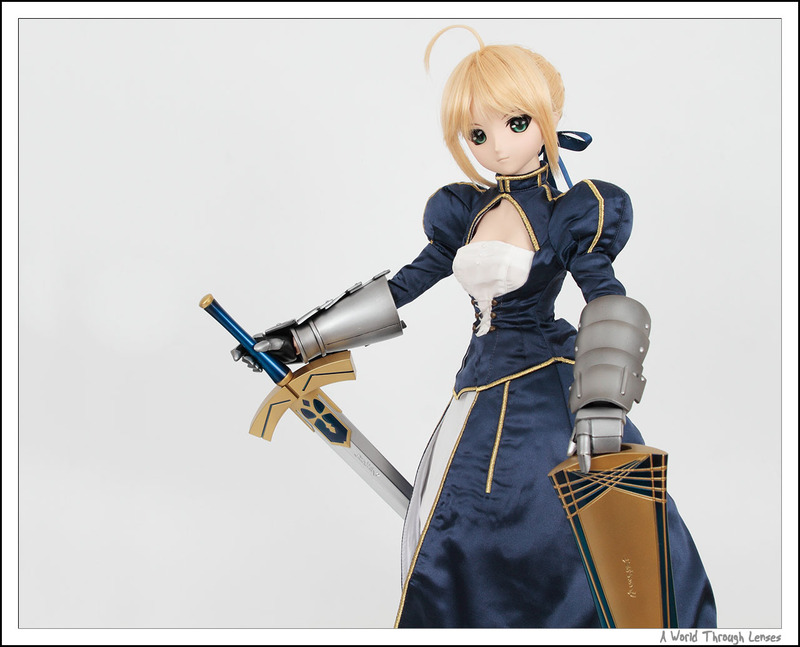 Since we got Saber in her original outfit, we’ll take a few show of her with Caliburn as well. 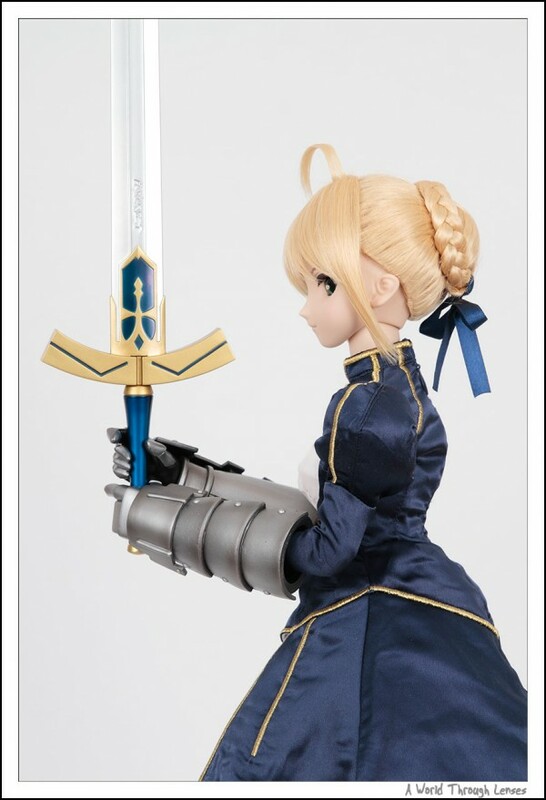 And here’s a 2D illustration of Saber holding the Caliburn.